It’s hard to believe that Christmas is here again. And no holiday in America is more commercialized that this holiday season, which accounts for as much as 30% of many retailers’ annual sales. The fact that we are in a season that is a hallmark for spending seems at odds with our business model of providing affordable housing for those who don’t have a lot of money to spend. So how can we help those residents who want to have a nice holiday but are lacking the spending power to buy gifts and even plan that major holiday meal? 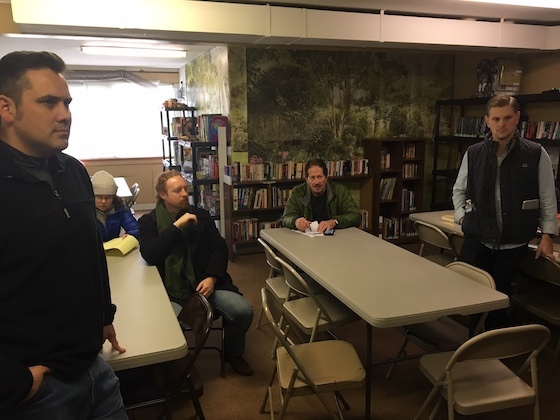 While no park owner is tasked with providing financial help to their residents, this is a good time of year to think about how we can help our residents during the other 51 weeks of the year. One focus we have for 2018 is how we can help promote the sense of “community” in our properties. That will include methods to bring residents together and initiate activities and support. A big part of that will be how to more efficiently use our common areas for maximum impact in fostering resident interaction. While we can’t provide a gift to every resident for the holidays, we will try to provide the gift of a higher quality of life year-round. We would also like to take this opportunity to wish everyone a Happy Holiday Season! We hope you can join us for our annual Frank & Dave Christmas Special, where we will discuss the year of 2017, as well as predictions for 2018. But most of all, we want you to know that we are truly thankful for having you as our extended mobile home park family, and to share the fellowship of buying and operating mobile home parks together. We also hope you’ll have a Happy New Year! We believe that 2018 has all the makings of the best year ever for the mobile home park industry. Can You Spot The Clues That This Might Be A Good Mobile Home Park To Buy? So you’re driving down the road and you see this mobile home park. Is it a potential acquisition target or not? What are the clues that would make you think this is a good property to pursue? Let’s review. Note that the entry sign is a sheet of plywood with the words “Trailers & RVs” – nobody has used the “trailer” term on a sign since the 1970s. That’s about right, as the paint is falling off of it. 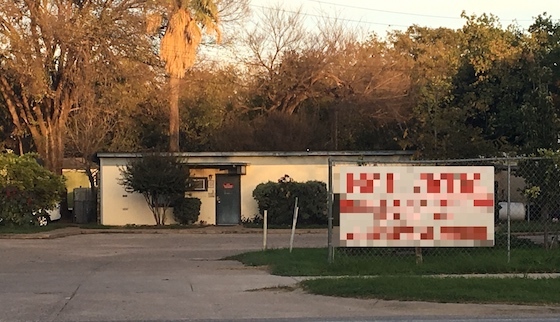 And you can also see three poles to the left of the sign, inside the property, that are all missing the signs that used to be attached to them (probably a speed limit, “children at play” and “towing enforced”). Why would you either not put the signs back up on them, or remove the poles? That’s a dead giveaway that the owner is no longer that interested in the property, and suggests there may be other operational issues that could be easily resolved. Back in the 1950s and 1960s, there was widespread use of chain link fence in mobile home parks – and that includes at the entry to the park. It was O.K. then, but is very unsightly today, as the top rail typically gets bent or missing, and then the rust sets in. This is another clue that the park owner is not actively engaged in park operations, as a modern owner would have replaced this unsightly fencing with white vinyl PVC products. The first thing you see in this photo is the grass growing out in the street. That’s a clear sign that the mowing in the property is sub-par. A good owner would have the grass mowed and edged, and anything growing into the street would be removed. Typically, mowing is a good indicator of the strength of management in the property. We have never seen a park with tight management and poor mowing, or vice-versa. Note that the bushes and trees and shaggy and unkempt. This is another sign of management problems and owner lack of interest. This property does not have much to work with aesthetically, and a good owner would make sure that the entry landscaping – if nothing else – was the best in the park. Not here. Now for some good things that would make you more interested in this unkempt property. Number one is the fact that this property features an office/clubhouse at the front. Why that’s significant is two-fold 1) it suggests that this property is large enough to warrant this type of amenity and 2) it gives the idea that this park might have been built during one of the HUD park development programs in the 1960s, which created well-planned and over-built communities. There is no occasion when having a clubhouse at the front is a bad sign. One of the best indicators of the macro infrastructure in a mobile home park is the roads. Dirt roads typically accompany a well and septic, and are highly unattractive to lenders. Asphalt roads are the industry standard. But a notch above that are concrete roads, such as this property offers. Any park with concrete streets typically also has above-average infrastructure – and concrete streets are a huge turn-on for lenders and future buyers. Over the last two decades we have found that mobile home parks that are located on busy thoroughfares are some of the most successful. Of course, this makes common sense, as a park on a busy street gets lots of walk-in traffic and is easy for customers to locate. Additionally, many mobile home park residents like to be able to walk to basic services, such as the grocery store. You can’t tell from the photo, but you would if you had been there. This park is in a good location near retail and an airport. It’s not a fancy location – it is probably not a great school district – but it definitely has the market dynamics of a 100,000+ metro population, greater than $100,000 median home price, and greater than $1,000 per month average apartment rent. It’s also near a Walmart, just down the street. The best type of opportunity in buying mobile home parks – the #1 positioning – is when you have a property that has good “bones” about it, but is horribly mismanaged and unappreciated by the current owner and/or management. This allows you to buy a high-quality asset for a lower price, and then rapidly enhance the value by improving the appearance, raising rents, filing vacant homes and lots, and cutting unnecessary operating costs. This park could well be a great acquisition opportunity. It has all the correct pieces. The next step would be to find the property owner through the tax assessor records and make contact. Where does it go from there? That’s up to you. This is a photo from our recent MHU Investor’s Club Live Event in Indianapolis, inside our clubhouse at the property in Greenwood. A year ago, this was just a vacant room. Today, it’s a library for the residents of the mobile home park – both young and old. And it’s very popular, having use by students and adults seven days a week. So why turn a room in your park clubhouse into a library? Is it worth the effort? A recent Time magazine article proclaimed that the “sense of community” is the most important amenity that any mobile home park offers. It described mobile home parks as the “gated communities of the less affluent” – even though that was an unfair description of our residents. But the fact of the matter is that this sense of “community” is, indeed, probably the greatest asset that any mobile home park has to attract and retain residents. “Community” would be defined as the socialization and support network that every park has amongst its residents. Unlike any other amenity – from clubhouse to pool – the “community” amenity is something that you can’t buy as a park owner. You have to develop it. Your goal is to create areas for socializing and congregating that promotes positive interaction between residents of all ages. Much of these activities are virtually free, such as picnic tables or green spaces. Indoor rooms for meetings, card games, quilting and other activities. This can be nothing more than the old laundry building with basic paint and flooring, and a window air-conditioner and a source of heat. You can buy folding tables and chairs from Walmart to complete the setup. Outdoor meeting areas such as pavilions or a grouping of picnic tables, which are perfect for birthday parties and outdoor socializing. Covered pavilions are even better. Sports and game fields. Have a vacant, mowed field in your property? Add two goals and you have a soccer field. That’s one of the least expensive – yet most used – amenities you can create to foster resident interaction. Amenities that come from RV parks, such as outdoor grills and volleyball nets. Ask your insurance agent first. Playgrounds. But use sensible choices on playground equipment, based on suggestions from your insurance provider, and don’t forget the required fall zones. Splash pads. This is becoming a strong alternative to the traditional swimming pool, as it provides water and fun without a huge capital cost and water quality monitoring. We’re not even sure that kids don’t prefer the splash pad to the pool – look at what most water parks have more of. Every park owner has limited space for amenities to foster community building. Think about what the options are and make smart decisions. If you really think about it, you can probably find a constructive use for every inch of your common areas that will foster a sense of community at a reasonable price. Also remember the old Ben Franklin adage “it’s not the cost of the fireplace but the cost of the wood” – namely you need to remember the annual operating cost, as well as the upfront charge. If a sense of “community” is truly the most valuable amenity in any mobile home park, then you should immediately start planning to build this feeling in your mobile home park. Great amenities are what can create this sense of unity, and they are not that expensive if you use common sense. Is There Any Correlation Between Age And Value In Mobile Home Parks? This is an antique store window in Charleston, South Carolina, down the street from where we hold the Boot Camp. 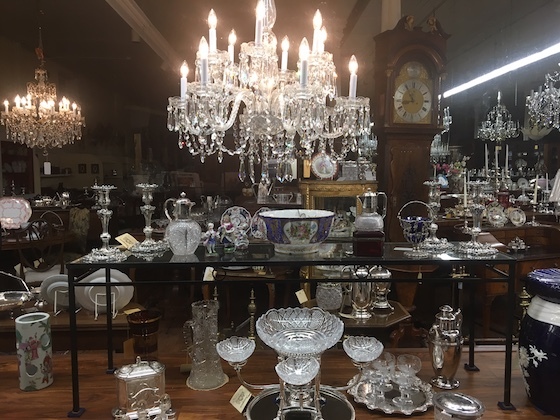 It immediately brings to mind the fact that some assets grow more valuable with age, while others are at their most valuable the day they are built – which are exhibited at the modern furniture stores nearby. So how does age impact mobile home park valuations? While a brand new mobile home park will probably sport new PVC water and sewer lines, the best period of mobile home park construction probably dates back to the 1960s and a special program from HUD that promoted developers to build a new concept called the “mobile home park”. These “HUD” parks have some unique features. First of all, the owner was required to follow government specs on the construction, and that yielded overbuilt concrete pads, curbs, gutters and sidewalks, and extra-strong roads. The designers for HUD also mandated curving roads and the general feel of a residential subdivision. And then there were the amenities, which included a large clubhouse and swimming pool. We’ve been in hundreds of mobile home parks of all ages, and the best of the group very likely are the HUD properties from the 1960s. Modern parks aren’t as nice, as the developer would rarely spend the extra money to push the envelope like HUD required. Here is one area where older parks always have the definitive edge, and that’s in geographic location. It’s a general rule that the best mobile home park locations in America all date to the 1950s to 1970s. The simple reason is that most cities in the U.S. have effectively banned new park construction for decades. Virtually all of the newer mobile home parks we have seen built are in inferior locations to those of the days when cities had no hostility against our sector and allowed parks to be developed in stunning, quality locations that are right in the heart of town, or in the most desirable suburbs – even on the oceanfront. There’s no question that newer mobile homes are far superior to older ones. The colors are better, the room sizes are better, the floorplans are better – it’s just better in every category. There’s no way you can compare a home from the 80s or 90s to the new models. That being said, one attribute that new homes have that is less appealing is debt. Homes from all eras prior to 2000, at this point, probably have either a paid-off mortgage or a small remaining balance. This eliminates the potential for foreclosure and repossession, something that all park owners dread. 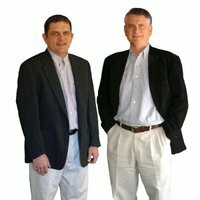 To get ahold of MJ Vukovich for questions or to get the loan process going, email him at [email protected]wecap.com or call him at 612-335-7740. Let him know Frank & Dave referred you for VIP treatment. And let us know if your loan closes and we will send you a $500 gift card to the home improvement store of your choice to get you started on your park renovations. Why Do Mobile Home Park Lot Rents Never Need Discounting? America is in the middle of what is now known as the “Retail Apocalypse” – a retraction that is so severe that it has displaced more workers than any other employment sector collapse in history. 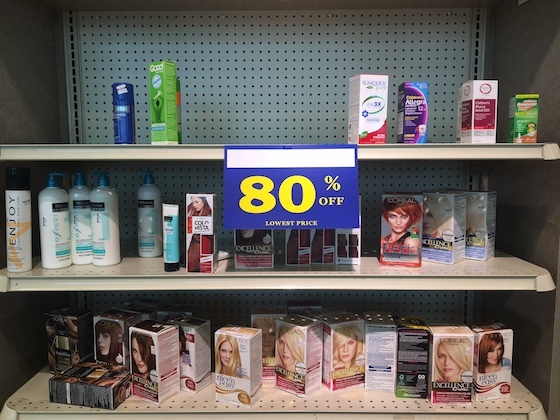 Stores are closing everywhere, and giant sales are common. In fact, the advent of the internet has resulted in pricing reductions across many industries, from cars to boats. Yet you never see or hear about mobile home park discounts in lot rent (or home rent, for that matter). How is it that mobile home parks have been able to escape any downward pressure on rents? There is probably no commodity in America that is more in-demand right now than affordable housing and – specifically – mobile homes. This is why the typical mobile home park phone rings constantly, with our average park receiving about 20 calls or more a week (some as high as 100). Given the simple rules of supply and demand, that kind of pressure on affordable housing equates to zero likelihood of rent decreases. Of course, the other side of supply is demand, and the great thing about mobile home park demand is that most city government has not allowed new mobile home park construction in the past 30 to 50 years (and zero chance going forward). If you really drill down on the numbers, actually, you’ll find that the number of mobile home parks in the U.S. is actually declining annually, thanks to re-development of some parks into other uses. One of the key steps to declining prices is the “commoditization” of assets into standard units you can price-shop aggressively using technology or simply the telephone. But mobile homes are hard to put in a “box” – every unit is completely different. As a result, there is little competition among park owners. On top of that, many parks have no vacant homes to begin with, and there’s a $5,000 barrier to moving a mobile home from one park to another, so there’s no competition there, either. Without competitive forces, prices rarely decline. Of course, this is the biggest reason that you never see mobile home or mobile home park lot rents decline: they are way too low to begin with. In a country where the average apartment rent is around $1,200 per month, the national average of $280 lot rent seems stupid and $700 home rent equally crazy. For mobile home park pricing to be in-line with basic economics, the average lot rent would have to be around $500 per month and the average mobile home rent in-line with apartment rents. While prices may be dropping on many products and services across America, you never see downward pressure on mobile homes and lot rents. And you are unlikely to see it going forward. There is probably no product that has greater price appreciation potential in the U.S. This is an item that recently appeared on the popular show “American Pickers”. It’s a metal toy of the “Vagabond” mobile home (or “trailer” in that era). Based in New Hudson, Michigan, the Vagabond Coach Manufacturing Company produced high-quality travel trailers and mobile homes from 1931 until the late 1960’s. The company earned a reputation for manufacturing elegant, high-quality trailers. Starting in 1936, Vagabond began producing trailers with aluminum exterior siding. As part of the base housing shortage in World War II, Vagabond received an order from the U.S. Government to produce thousands of standardized Vagabond trailers to house military and civilian workers. For years, the Vagabond trailer’s familiar “bread box” shape remained un-changed, but in 1957 Vagabond introduced their new “10 Wide” models, while still retaining their standard “8 Wide” models. Lengths available were 35’, 41’ and 46’ lengths until 1960 when a 50’ and 54’ model were introduced. Vagabond coach interiors exuded quality, creating the “feel” of an elegant home with beautifully finished birch cabinetry and 1/8” birch paneling on the walls and ceiling. Vagabond trailers were ahead of their time, offering unique sliding pocket screen doors, and a full underside sheet metal belly pan. Later models included a unique forced-air heating system which heated passages under the entire floor as well as routing heat out of the ornate floor-mounted heat register grilles. 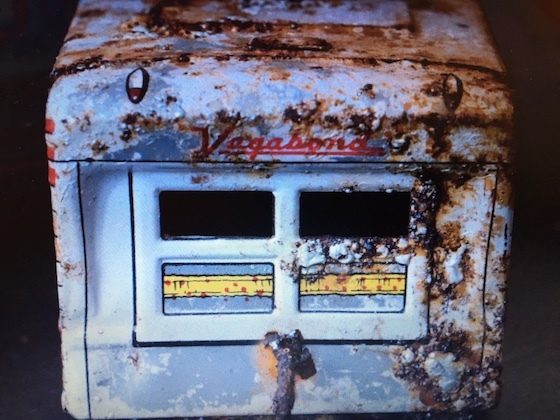 Here are some interesting photos of the Vagabond-- a true American icon in the mobile home park industry. 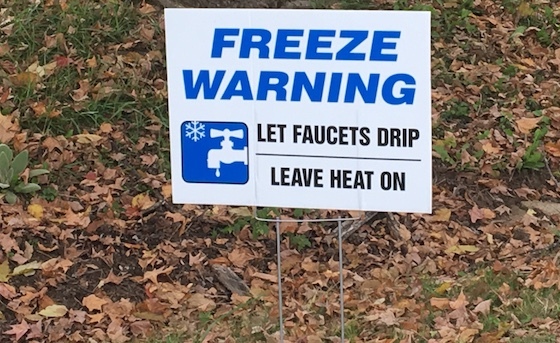 The temperatures across most of America are hitting freezing, and that means it’s time for the annual “winterization” of your mobile home park. So how does that work? Here’s a quick guide to the proper preparation of a mobile home park for freezing temperatures. Laundry buildings and clubhouses – and any park structure that is utilized by residents – needs to have some form of heat. It can range from central, window or, in some cases, even a space heater (although only a liquid filled “radiator” type that can’t cause a fire) maintain heat at 50°. Turn the shut off so no water 4’ below. Cover in insulation and put a cover over it (5 gallon bucket) to keep insulation dry. Turn off the cut off valve (hopefully installed below the t-fitting) and open the drain valve. Open all the water valves in the trailer to allow air into the system to replace the water that is now flowing out of the drain valve. This should be for both Hot and Cold valves. While this is happening, go through ALL your cabinets and remove any and all food items, chemicals and other 'containers' that could possibly freeze. After 90% of the water has drained from the system, close all the in house water valves except the highest point with both hot and cold valves. Using a portable air compressor and a few rags, connect the air hose to the valve spout and blow air into the system. Turn off the cold water valve first and continue putting air into the system through the hot water valve. This is an attempt to remove the water from the hot water heater tank. You might want to connect a hose to the heater tank drain valve and drain it independently if it's easy to get to. When ALL the water has stopped coming out of the system, turn off the air compressor and then close ALL the valves in the home but leave the outside drain valve open. This one open valve will allow pressure to escape if need be. Ensuring that all the inside valves are closed will prevent someone from inadvertently (or on purpose) turning on the outside valve and filling your trailer with water. Disconnect the water hoses from the washing machine. Drain any water still left in it. If you have an ice maker in your fridge, you should disconnect the line going to it and allow it to drain as well. Pour RV anti-freeze into the toilet, tub/shower drains, and all sink drain traps. Remind them to have good quality heat tape that runs from where it comes out of the home, around their water-meter and up to where it enters the home. Facets dripping also helps on the coldest days (below zero). 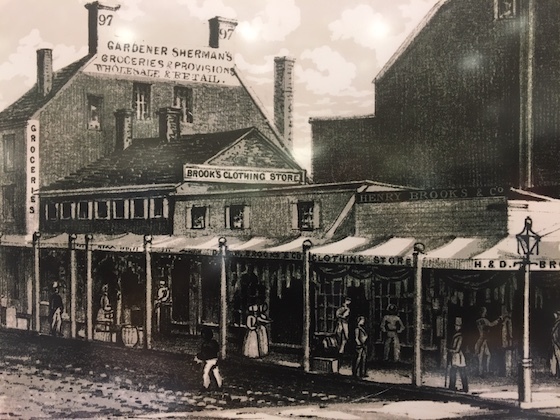 This is a photo of the first Brooks Brothers store in 1818. Just a small storefront in a forgettable block in the Northeast. From that small store grew one of the dominant brands in American fashion, which now boasts ___ stores across the U.S. So why do so many successful large portfolios begin with one small location and then organically grow from there? Do you remember the China Coast restaurant chain, started by General Mills back in the 1980s? Instead of opening just one store and learning what customers wanted – and then expanding slowly over time – they instead elected to open a hundred units at one time. The results were terrible – poor menu selection, poor quality control, and bad management. In only a few years the chain had completely gone out of business. The moral is that really strong expansion is based on slow and steady growth. In most cases, the longer the amount of time it takes to build a portfolio, the better quality it is. You cannot build a museum overnight and have every painting a masterpiece. The Meadows Museum in Dallas was created by an oilman who wanted to build a giant museum very rapidly. He bought many paintings sight unseen – and with zero due diligence – and the end result was that many of the paintings were later proven to be forgeries. Maybe the best example of the benefits of starting small is the “mighty oak” tree. The oak is well-known for being a superior hardwood specimen with an extremely long lifespan. It starts from a simple acorn, and grows slowly and steadily into a work of arborist art. By comparison, the hackberry tree grows astoundingly fast, and the wood is poor quality and the trees have a short lifespan. Most every successful mobile home park portfolio begins with a single property. It’s the strongest strategy, and the correct one for most portfolio builders. Dave and I each began with just one park each, and we believe that starting small and being selective is the secret to really learning the business and creating a solid group of properties. This is one of the oldest Dairy Queens in the U.S., located on Route 66 in St. Louis. It unfortunately closed recently. Unlike mobile home parks, restaurants have not aged well. You can see from the photos that this structure lacks a drive-thru window, or indoor seating. It also has virtually no parking. Apparently, back in the days of Route 66, people would walk up, get their ice cream, and drive off – not exactly what modern customers are looking for. All park owners should be very thankful that our industry has aged extremely well, because not all real estate sectors have been so fortunate. Mobile home parks from this same era are doing just fine, with the only complication being smaller lots that won’t accommodate larger, more modern mobile homes. But, except in a few instances, mobile home parks are immune from age obsolescence.